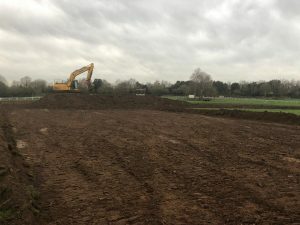 This week marks the start of the works at The David Broome Centre in which we will be converting the infamous Castle Arena into a new All-Weather competition arena. 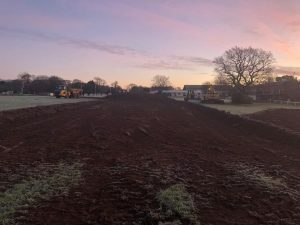 A sad, yet exciting day as the 50 year old Derby Bank has been removed and the hallowed turf has started to be stripped off. A massive credit to the Broome family who continue to invest in their already incredible facilities and ensure that riders have the most technologically advanced surfaces and facilities available. The surface will be a blend of Silica Sand and Stabilising Fibres on top of the Risohorse Ebb and Flow System. 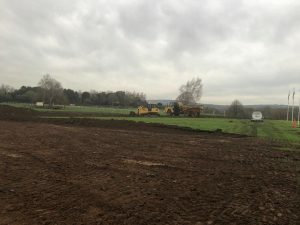 Works will be progressing into the new year, with work due to complete prior to the 2019 season commencing. Annual maintenance at Eilberg Dressage puts the sprig back in the horses steps !